When was the last time you go to ocean and listen to the waves? These experiences are natural stress relievers and provide wonderful moments of tranquility. Crowding is a major problem in a city environment, for it forces us into contact with strangers, unwanted physical contact and lack of personal space. The stressful sounds from traffic, construction, and crowds can result to plenty of stress. How can we reduce stress in a city environment? 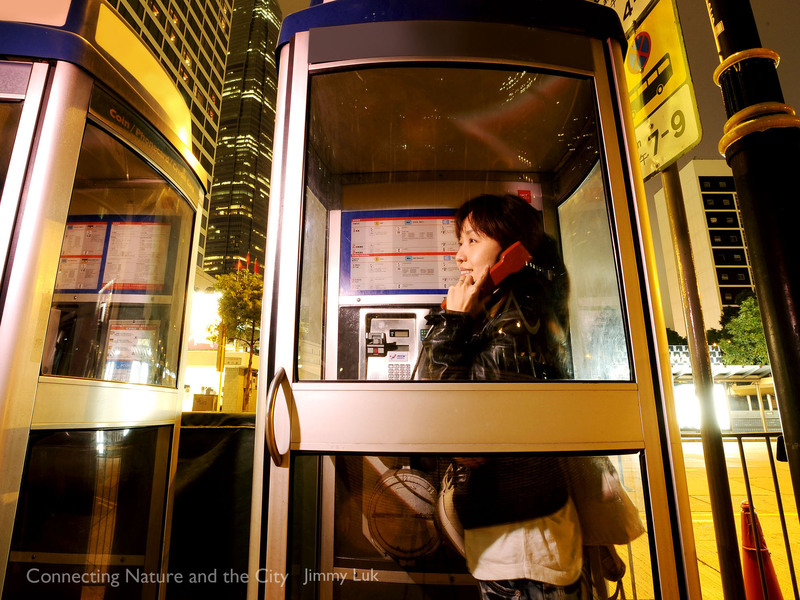 Today almost everyone has at least one or two cell phones, the general public no longer uses public phone. 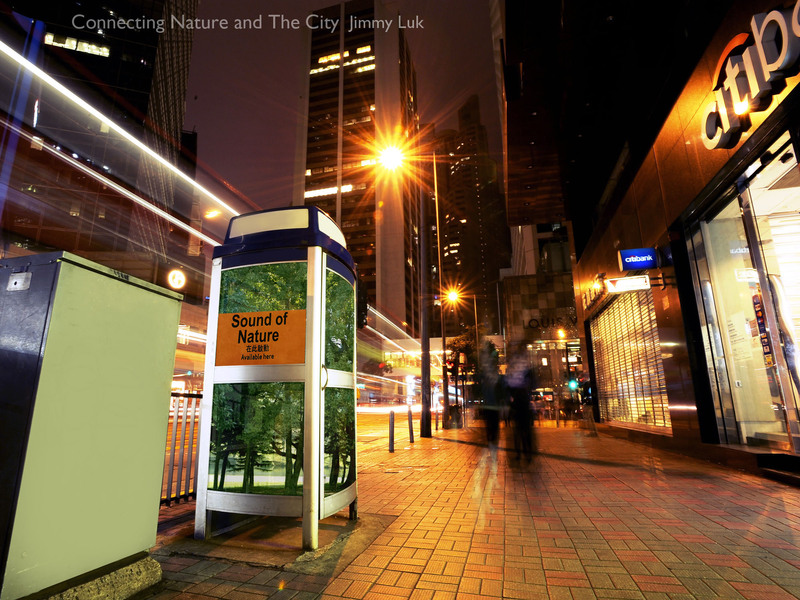 The objective of my project is to re-use and add value of the phone booths on the street, by providing an individual space for a person to have a sudden escape from the crowd and able to experience the relaxing nature sound through a live broadcast system. 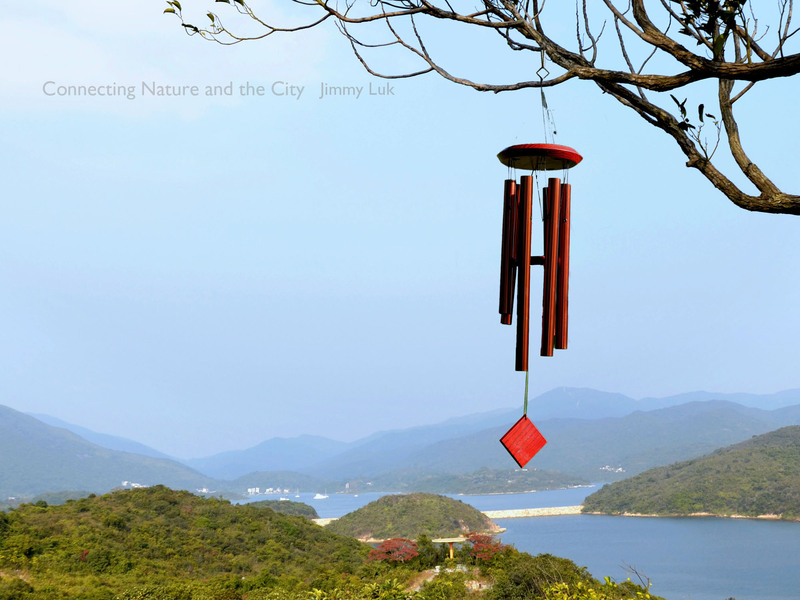 A person can enjoy beautiful birds singing sound from the bamboo forest of Yim Tin Tsai; Wind chimes sound from the beautiful mountain of Lantau island or relaxing waves sound from the beach of Repulse Bay. By listening to the relaxing sound of the nature, a person can experience instant stress relief and inner peace. what a good idea ? never though about it before. this idea is very realistic and applicable in modern society.